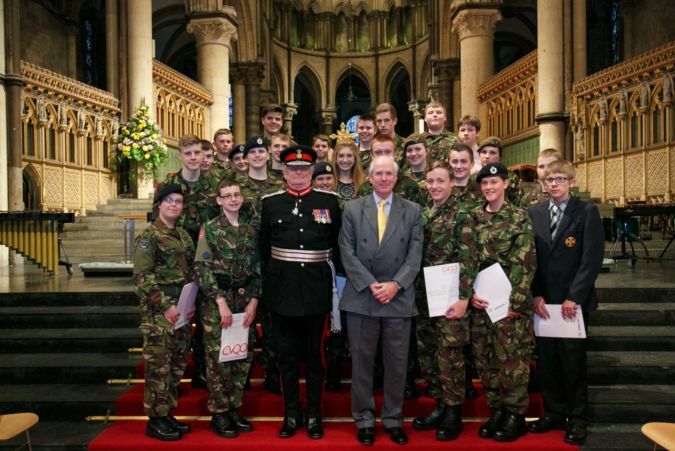 Education charity CVQO celebrated the achievements of 91 Kent cadets, as they were presented with their CVQO-led BTEC Level 1 Certificate in Teamwork, Personal Skills and Citizenship at Canterbury Cathedral on Monday 17 June. The group are the largest single cohort ever to have been presented with CVQO certificates. 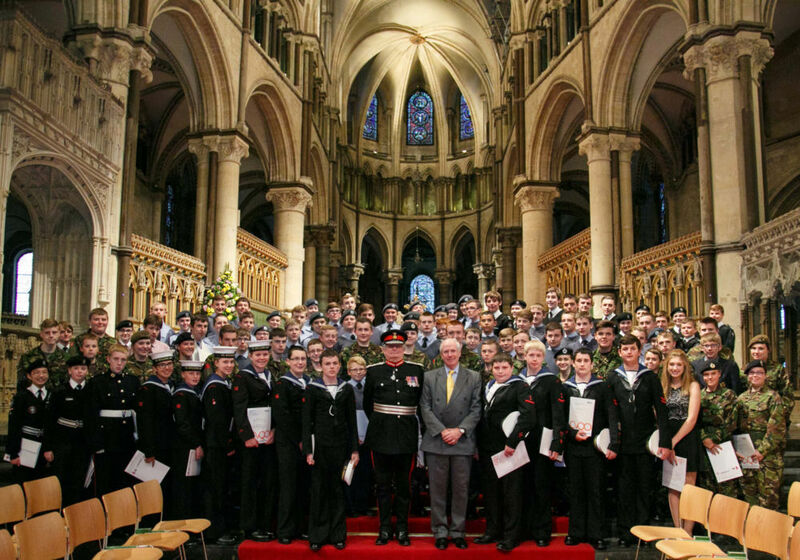 The cadets, aged between 13 and 15, represented all three military services, as well as St John Ambulance and came from units across Kent including the Medway towns, Maidstone, Ashford, Swale and Thanet. For many of the cadets, the qualification was the first they had received, building their confidence in education from an early age. The certificates were presented by Viscount De L'Isle, Lord-Lieutenant of Kent, in front of parents, adult volunteers who work with the cadets and a select host of VIPs including those who funded the qualification. A marimba ensemble from the Combined Cadet Force at Gad's Hill School, Kent, played as guests arrived and took their seats. Their performance was being assessed for their CVQO-led BTEC Level 2 in Music, which fittingly demonstrated the continuity of education that can be achieved with CVQO.